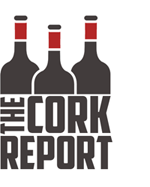 Welcome to The Cork Club. I’ve partnered with a great wine and cider shop in Ithaca, NY – The Cellar d’Or – to bring the best and most interesting wine from the East Coast and Midwest straight to your door. It’s pretty simple. I pick two wines each month that never exceed $60 total before shipping and they are shipped directly to you. These aren’t bin ends or mass-produced, factory wine garbage. These are real wines, made by real people. These are the wines that I’m drinking myself and most excited about — from producers you’re never going to get anywhere else. At the end of March, I had the rare opportunity when NY Drinks NY, the annual tasting in Manhattan that brings together a few dozen wineries from across New York State for a trade and media tasting, was a day I was actually able to attend. As I often do, I focused on wineries that I don’t get to taste often and I made some really delicious discoveries. You can probably expect to taste some of these wines soon as part of this club. In addition to the walk-around tasting, the event always features a couple of seminars. This year, I attended one focused on hybrid wines. Those lucky enough to score seats got to enjoy six wines made from grapes like traminette, baco noir, marachel foch and – the reason I bring it up – vignoles. We actually tasted two vignoles during the seminar, one bone dry, one a little less so. On the show floor, I tasted a third vignoles that was sweeter, but still really well balanced by crackling acidity. Two of those three wines are in the box we’re shipping your way. I realize that for many of you, these will be your first experiences with vignoles, but I think you’re going to dig these wines. Originally named Ravat 51 (it was developed by breeder J.F. Ravat) this is a grape that dates back to 1930 and is a cross of another hybrid grape known as Le Subereaux and a clone of pinot noir. The result is a grape that is capable of accumulating a lot of sugar as it ripens while still maintaining high acidity. This makes it an incredibly versatile grape. With thoughtful viticulture and winemaking, you can make bone dry examples, balanced-but-sweeter styles, succulent late harvest and ice wines, or even orange, skin-fermented wines. With this month’s wines, I tried to show a bit of that versatility. First we have Keuka Lake Vineyards 2016 “Turkey Run Vineyard” Vignoles. Winemaker Staci Nugent focuses on drier styles of vignoles with this single-vineyard wine, another dry bottling and an “Amber” orange wine made with the grape. Tropical and peachy with just a little white tea at the edges, this wine shows a bit of weight on the mid-palate but finishes with juicy, assertive acidity. It can be hard to balance that acidity without residual sugar, but Nugent walks that tightrope expertly here. This is a nice pairing for roast chicken or pasta with creamy sauces. 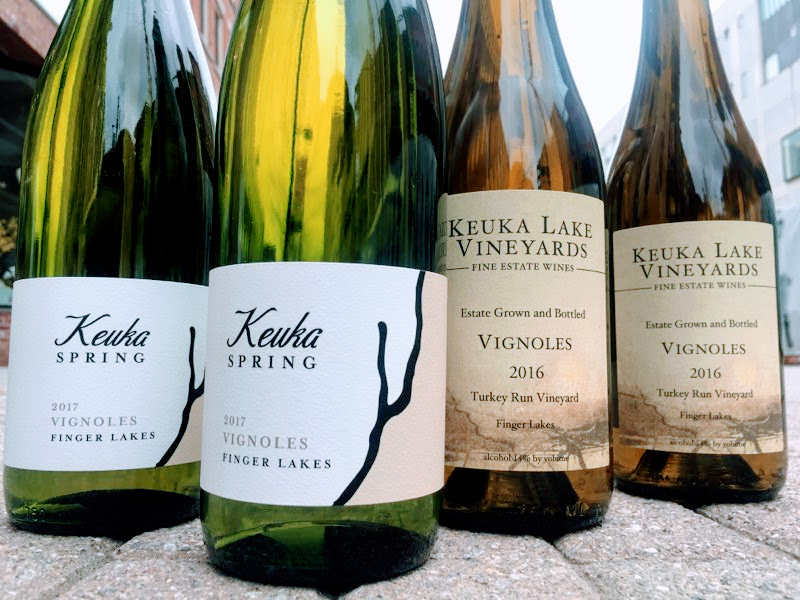 This month’s second wine is made right down the street at Keuka Spring Vineyards by winemaker August Deimel. Aromatic whites are sort of Deimel’s thing (I think he makes the best gewurztraminer in North America) but he takes a different approach to vignoles. 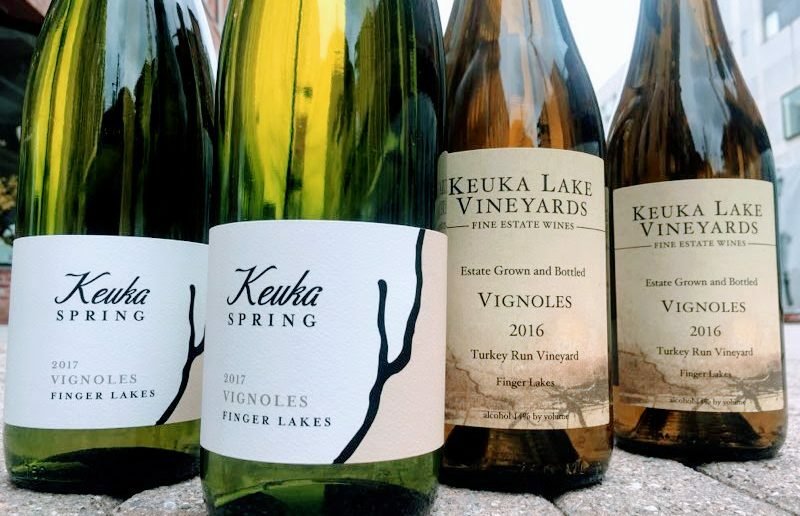 Keuka Spring Vineyards 2017 Vignoles is noticeably sweet at 6% residual sugar, but that laser beam of vignoles acidity makes it taste much drier than it otherwise would. This expression is more citrusy, with mandarin and lemon notes and just a little apricot and pineapple. I like this wine with fiery Indian curries or with cheeses and charcuterie. I hope you enjoy the wines. Let me know what you think!